The bedroom is a sanctuary, a place in the home that’s meant to relax and recharge the mind and body. But how can you enjoy a restful slumber if the bedroom is littered with stuff that has nothing to do with a good night’s sleep? Let’s face it, most of us probably dump items in the bedroom that aren’t really helping us rest. This goes especially for people living in a small apartment. Working with limited space means cramming a lot of stuff in the unlikeliest places. 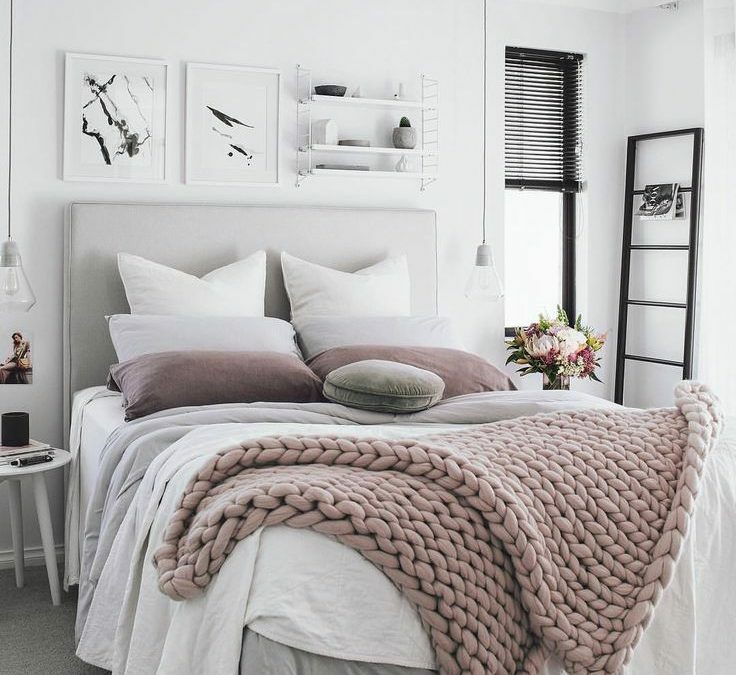 If the chaos is causing you sleepless nights, you need to edit your bedroom interiors, right NOW! Eliminating unnecessary things in the bedroom helps create a relaxing space that’s conducive to sleep. If your bedroom is teeming with clutter, a major cleanup is in order. Toss unnecessary things in the trash, donate what you don’t need or simply find the right spot for specific items that are gathering dust in the bedroom. Let’s get started! I must admit, I’m guilty of setting my home office in the bedroom. In my defense, I did it because the bedroom is the coolest room in my small apartment. If you live in the tropics, cold drafts are not a bad thing at all. Unfortunately, setting my home office in the bedroom meant taking my work to bed, which is a no-no. Associating work with a home office makes relaxing in the bedroom a struggle. In the end, I ditched my desk area to enjoy bedtime. And I couldn’t be happier… or more well-rested. Nighttime reading is a terrific way to relax after a long day. But if you’ve got piles of books that you’ve already finished reading littering the floor, they have to go! The bedroom isn’t a good place to store old books, they will only gather dust. Also, books will eat up the floor space like nobody’s business. So tidy up, collect all the books you finished reading and keep them where they belong: in a bookcase. If you don’t have storage space for your books, loan them to a friend, at least in the meantime. If these nighttime reads are no longer useful to you, donate them so other people will show your once-favorite books some love! The same thing goes for unread magazines that you have stowed away somewhere near the bed, let them go. You’re probably keeping these magazines on hand, waiting for the weekend to catch up on your reading but somehow, the piles just keep multiplying! 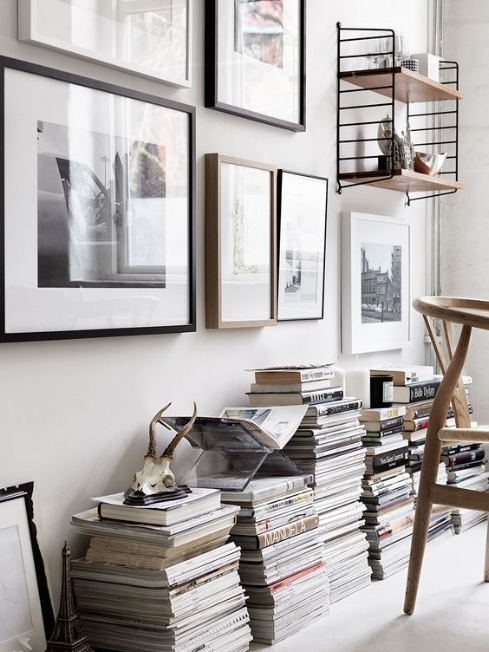 Like old books, stacks of magazines have a way of taking up more space. Clear the floor space by getting rid of unread magazines. Place a few in the living area to keep guests entertained and keep the rest on the bookshelves where they belong. If you are a makeup junkie like yours truly, your vanity table could be filled with old and new makeup, bottles after bottles of beauty products. But if some of these items have been sitting in your vanity for years, it’s time to toss them in the trash. 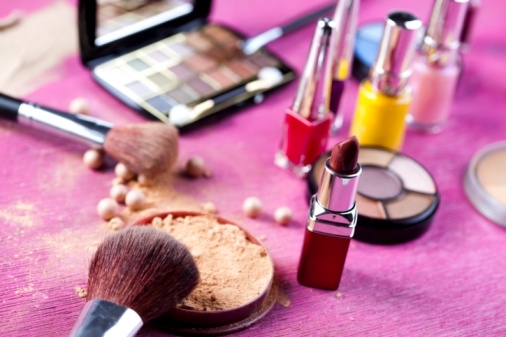 Beauty products that are already past their expiration date are teeming with harmful bacteria. Imagine putting all that on your face! Clear your vanity table of items that are already past their prime. You will be surprised at all the space you have left by tidying up your vanity table. 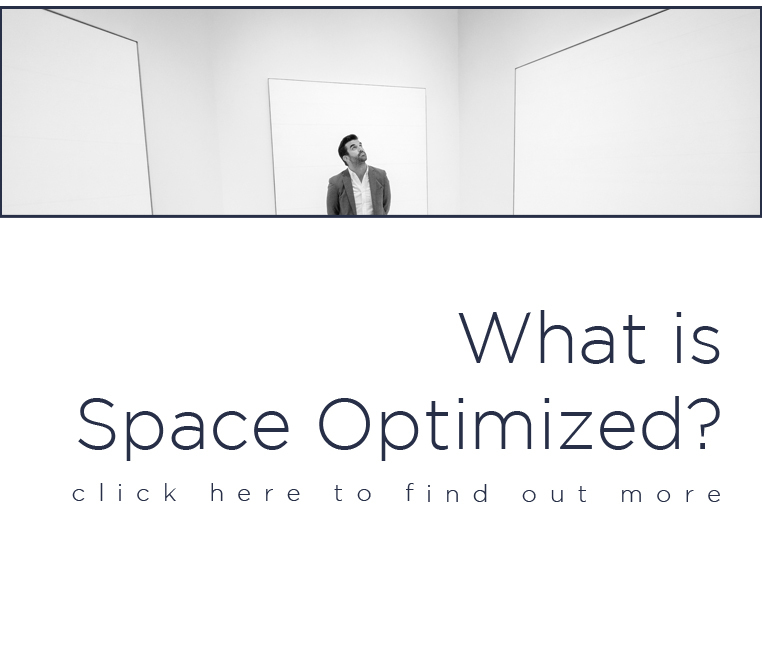 Always focus on the essentials to create a simple and functional space. Don’t dump old cell phones, tangled cables or outdated gadgets in the bedroom. Holding on to old or broken gadgets is such a space-wasting habit. And every square inch of space counts when you live in a small apartment! So toss broken items in the recycling bin. For outdated laptops or old gaming consoles, donate them if they are still usable. Don’t hold on to unnecessary things that only add to the clutter. Nothing like a laundry bin overflowing with dirty clothes to ruin the look of a bedroom! 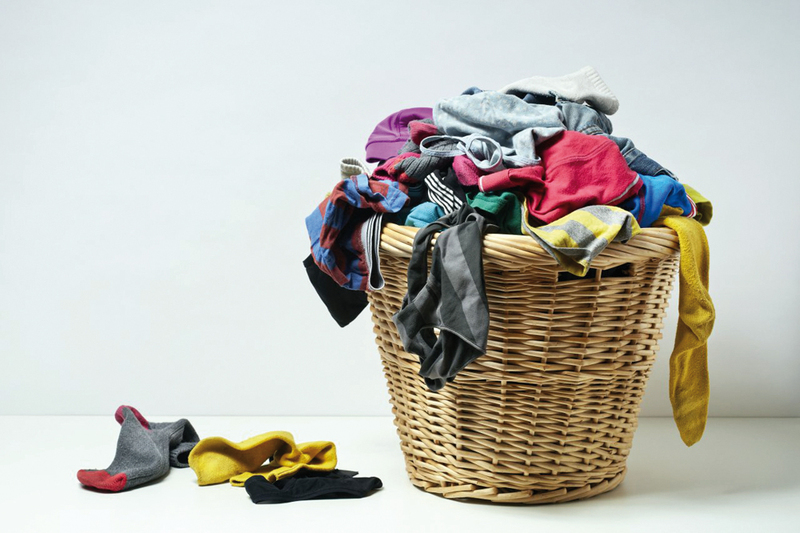 You don’t know it but an unkempt laundry basket is adding more stress to your life. Piles of dirty clothes in the bin (and all over the floor) add to the chaos. You cannot relax completely when you are constantly reminded of your chores. Create a relaxing ambiance in the bedroom by keeping your laundry basket where it belongs: in the laundry area. If you don’t have a laundry area, stow the laundry bin inside your closet if there’s room for it. To keep the laundry bin from filling up to the brim, wash your clothes regularly. Is your closet brimming with old clothes, seasonal gears, and pieces that you don’t really wear? That mish-mash of forgotten and unworn clothes is only making your bedroom look extra chaotic. Keep the bedroom spick and span by cleaning and organizing your closet. Put all the seasonal gears in the storage room and set aside all the clothes you no longer wear. You can donate these pieces to people who’ll appreciate them. If you are truly committed to creating a serene, relaxing sanctuary, the bedroom should be free from distractions that keep you from enjoying a night’s rest. These distractions could be anything from the TV to gaming consoles and mobile phones. 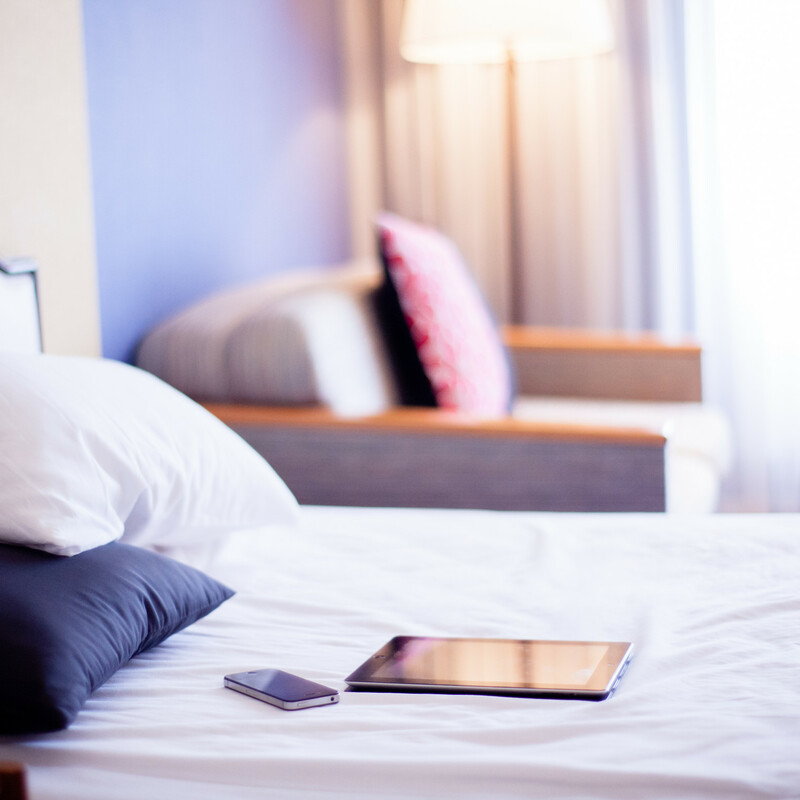 Studies show that electronic devices make sleeping more difficult. The blue light that these devices emit disrupts sleep by messing with the body’s sleep timing and circadian rhythms. In addition, scrolling for hours before sleeping keeps the brain active. This makes falling asleep a struggle! Stark lighting fixtures may help you see better in the dark, but it could disrupt sleep. Bright lights affect the body’s circadian rhythms. When the circadian rhythms are messed up, the body won’t produce enough melatonin for better sleep! Avoid light fixtures that emit blue light. Instead of using light fixtures that brighten the entire bedroom, go for soft lights that produce a warm glow. In addition, turn off the lights an hour or two before hitting the sack to stimulate sleep. A seating area in the bedroom sounds like a great idea but if you live in a small apartment, you have to free up the floor space. 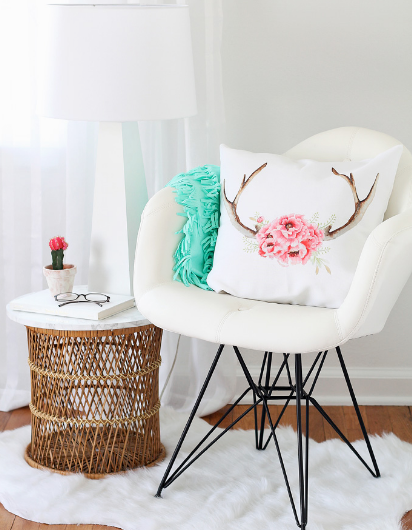 If the bedroom isn’t big enough for a seating area, don’t put a chair on an empty corner. An accent chair is nice to look at but you’re not really maximizing the space if you are only using it to dump all your dirty clothes! Keep your bedroom neat, organized, and functional by focusing on essential decors. Build a seating area in the bedroom only when you have room for it. Found this article useful? 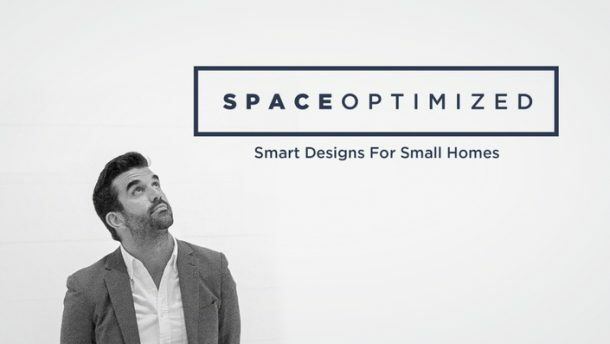 Subscribe to our mailing list and get the latest interior design tips and tricks to create a stylish small apartment you’d be proud to show off!